Dunlop – manufacturer of tiling, decorating and flooring products for the trade – have provided a complete tiling system for the renovation of a County Durham fast food restaurant. 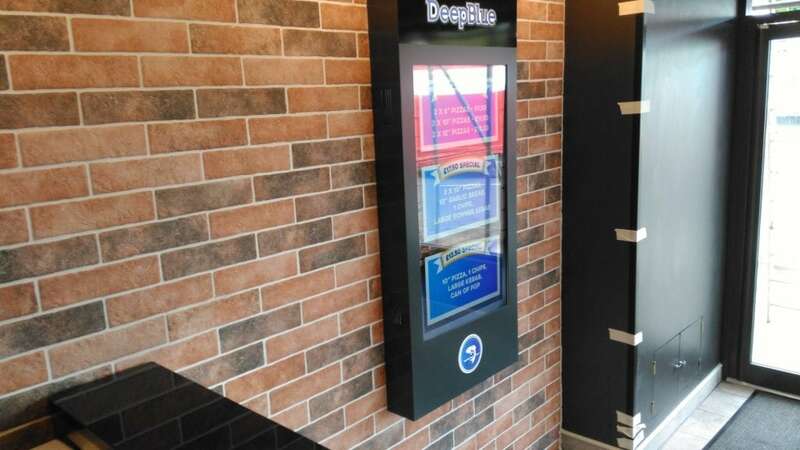 Tiled by Andrew Henry Tiling Services, the Dulais Deep Blue takeaway in Hetton Le Hole features brick style porcelain tiles on the walls and 1200mm x 300mm porcelain tiles on the floor by Marshalls. The wall tiles were fixed with new Dunlop Flexible Slowset Tile Adhesive to plasterboard primed with Dunlop SBR Universal Bonding Agent. To finish the wall tiling, Andrew grouted with new Dunlop GX-500 Flexible Grout in Mist Grey. 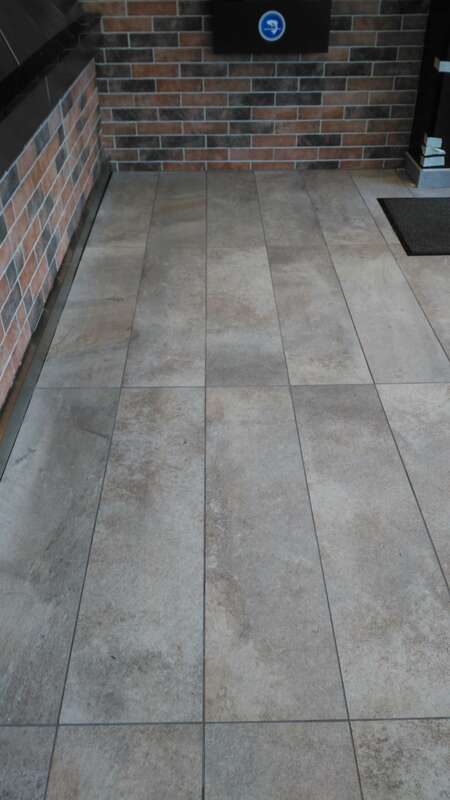 “The client originally wanted brick slips on the wall, but I advised him that these would be hard to keep clean and would collect dust – so we went with porcelain tiles instead,” said Andrew. Suitable for wall and floor tiling, Dunlop GX-500 Flexible Grout can be used for almost any situation and comes in a range of shades to suit any project request. As well as water and frost resistant, Dunlop GX-500 is flexible in nature, meaning a reduced risk of cracking, leaving a super-smooth but hard-wearing finish – perfect for light commercial work. Because of its unique formulation it can be used with most tile types, including ceramic, porcelain and natural stone from 1 to 15mm joint widths. The wood effect floor tiles used at Dulais Deep Blue were fixed with Dunlop Set Fast Plus Flexible Tile Adhesive and grouted in Dunlop GX-500 Flexible Grout in Graphite Grey. “I chose Dunlop for my adhesives and grouts because their products are really easy to work with,” added Andrew. All fixing materials were supplied by Tyne Tees Ceramics Ltd.